Investcorp Technology Partners (ITP), a leading European lower middle market technology investor, has successfully closed the transfer of its remaining two portfolio companies within ITP Fund III, with a combined enterprise value of $185 million, to a continuation vehicle, Investcorp Secondary Fund 2018 LP which is supported by HarbourVest, an independent, global private markets investment specialist. ITP is a unit of Bahrain-based Investcorp, a leading global manager of alternative investments. It remains focused on investing in fast-growing founder-owned, European headquartered businesses with equity cheques of $25-$50 million. The group has established a market leading position of investing in lower mid-market technology companies with a specific focus on the data/analytics, IT security, fintech/payments and internet/mobility sectors. Investcorp said it had raised more than $1.5 billion in funding for lower middle market technology investments since 2001. By concluding this transaction, ITP will have the opportunity to maximise the value creation potential of these two companies, providing them with active support and fresh capital over an additional holding period under continued management, said teh statement from the company. The transaction, which was supported by investors, results in ITP Fund III’s performance since inception being in the upper quartile for similar vintage and type of funds, it added. 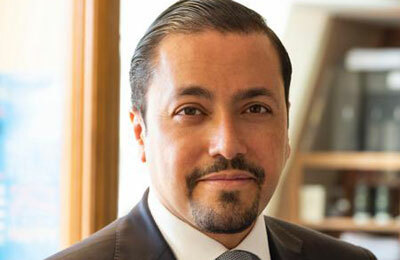 Commenting on the commitment, Hazem Ben-Gacem, the co-chief executive officer at Investcorp and managing partner of the ITP group of funds, said: "Our third technology fund has performed very well in recent years. This commitment from HarbourVest demonstrates their belief in us as one of the leading lower mid-market investors in Europe." "We look forward to working with them to help realise further growth in these remaining investments whilst continuing to deliver a strong return for our investors and shareholders," he stated. Greg Ciesielski, the principal at HarbourVest Partners, said: "ITP is a talented manager and we are excited to partner with them on this new venture. We believe there is significant potential for outperformance in European middle-market technology investing." HarbourVest boasts more than 35 years of experience and over $50 billion in assets under management (AUM). It has more than 400 employees, including more than 100 investment professionals across Asia, Europe, and the Americas. "We look forward to combining HarbourVest’s long track record of completing whole fund liquidity solutions with Investcorp’s expertise to achieve the next phase of growth in technology companies," he stated. ITP recently announced the close of its fourth technology fund, ITP Fund IV, a $400 million pool which closed in excess of its target and received strong support from a diverse group of global blue-chip institutional investors, said Ben-Gacem.